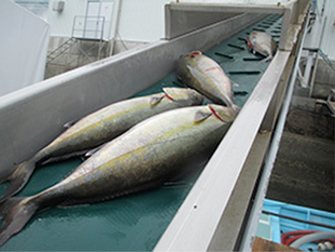 With the stream of the global Japanese food boom, exporting number of yellowtail has been growing. 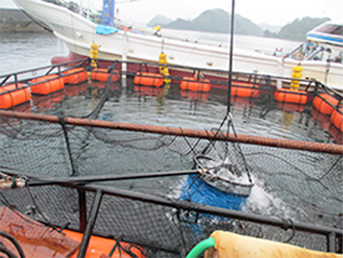 True World Japan is successfully air-transport more than 50 tons of fresh yellowtail from all over Japan every month. Especially our market share of fresh yellowtail to the US is always in top. We also put our effort on exporting frozen yellowtail, and it is expanding not only to the US, but also Asia, Middle East, Europe, and so on. 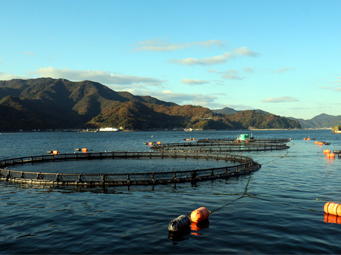 is strictly quality controlled from catching juvenile (mojako), farming, and processing which are delivered customers. Safe and secure is surely promised, and please enjoy our tasty yellowtail with loving care of cultivation. Juvenile (mojako) can be found on floating seaweed like sargassum which ride the Kuroshio ocean current. Mojako stands for jako (small fish) on mo (seaweed). Mojako catching starts all over Japan at the mid-point of the Pacific side in middle of April, and ends in the end of July. Good yellowtails are raised from juvenile. To start cultivating, we select only good quality of juveniles from gathered ones. Feed is very important than anything else to build up the fish body. All of materials in feed like fish-powder, oil, and others are the reflections of know-hows which is built up after long-years’ experience. 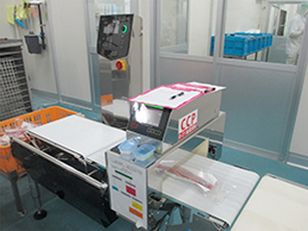 We also feed supplements with feed to pay careful attention on keeping their health maintenance. Every morning, we visit cages to keep daily records of fish conditions, feed conditions, feed amount of eaten, and ocean conditions. It is very important to adjust the feeding amount by checking fish conditions of the day to grow good quality of yellowtail. to keep energy for swimming, and also to protect inter organs. Their put fat from their active swim is such a good quality of fat with the concentration of flavor. Even it is fat, but never too thick. Their active swim nicely tightens their fish meat. It loses the smell of farming, and withdraw the great taste of yellowtail. Our production of frozen yellowtail is only in “the best season” for yellowtail through the year. Before the spawning season, yellowtail keeps much fat and deliciousness in their body. 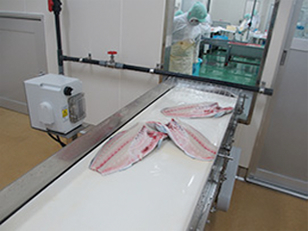 To deliver our carefully-made yellowtail in their best condition, we use our long-years know-hows and newest technology, and pay the best attention on processing not to put stress on yellowtails. 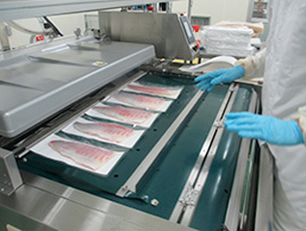 We face to yellowtail with passion to produce “great taste” of yellowtail which is satisfying to our customers. 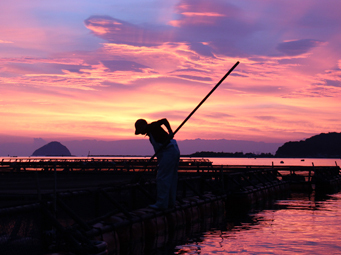 To deliver the best grade of yellowtail, we will keep up our effort.